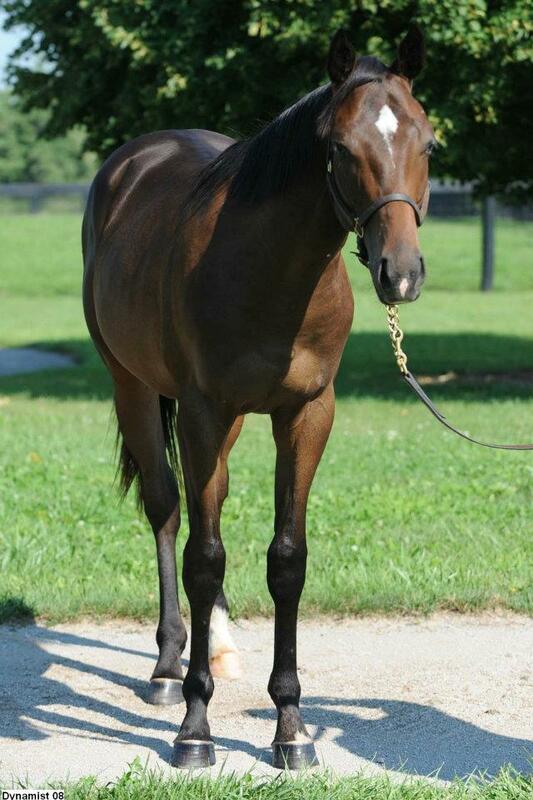 This is Dynamaker as a yearling. He is my personal OTTB, so I will base most of these off of him. 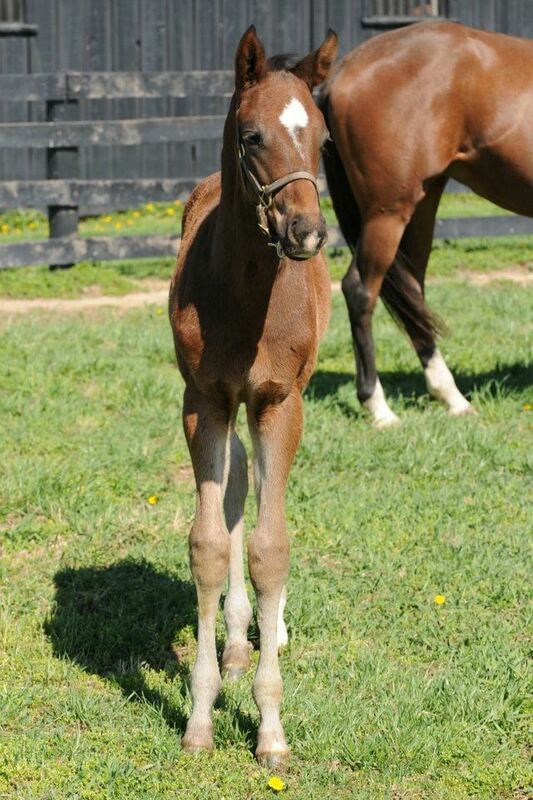 His dam Dynamist is by Dynaformer, who stood at Three Chimneys for his final breeding season at $150,000 per live foal. He himself is by Empire Maker, who stood at Juddmonte during his INITIAL breeding season at $100,000, but was more likely around $30,000 by 2007 when Dynamaker was conceived. His dam Dynamist was sold the year Dynamaker was born at the Keeneland November sale for $360,000. Did you know that the average price to board one of these weanlings/yearlings/mares at an elite breeding farm is approximately $30-$40/day? So board for the year for ONE horse is approximately $14,000? And that’s not including vet/farrier/dentist? 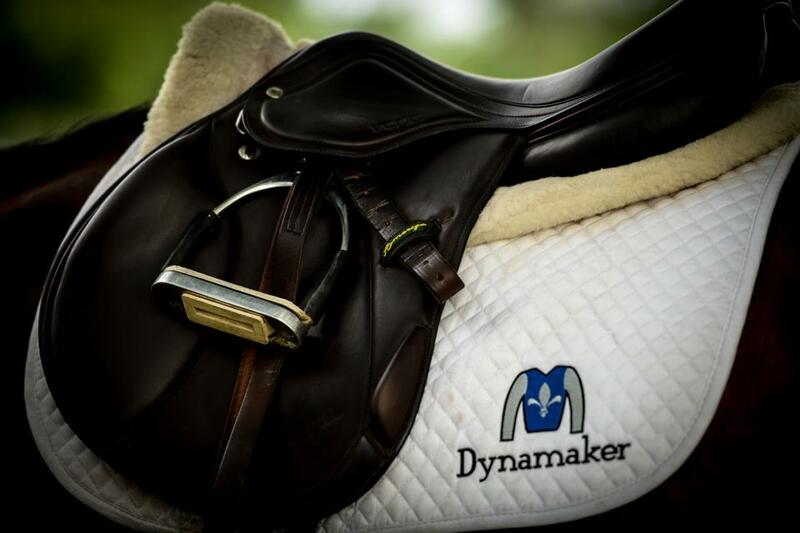 So his breeder had spent approximately $500,000 by the time Dynamaker had made it to the track – and he won a whopping $6,040 before being retired and rehomed as a jumper where I found him. So, lets see, $500,000 – $6,040 = a $493,960 deficit. I don’t think many financial advisors would recommend this specific investment! 2. You horses breeder/owner thought of his/her animal as a commodity and did not love them. Each of these animals is loved, adored, and cared for surrounded by the most educated horsemen, veterinarians, nutritionists, and farriers known to the industry. We may send them to the sales to allow someone else to enjoy them in their racing endeavors, but you will never see a more full “Virtual Stable” than that of a breeders or farm managers. 3. Your horses breeder/owner does not care about their horse post-racing. 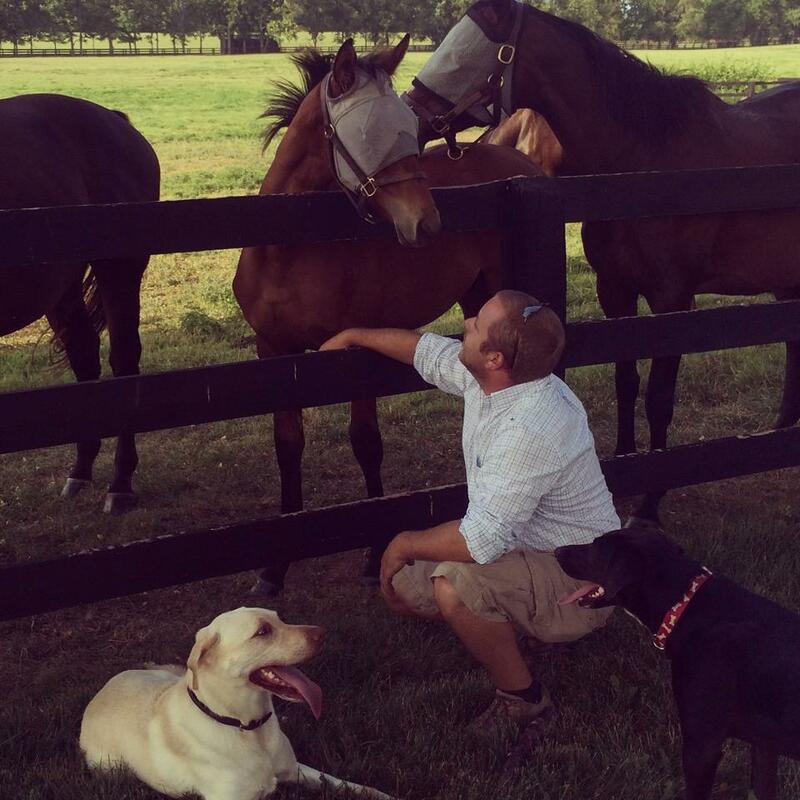 Through email, running into each other at the sales, instagram, and facebook – I stay in contact with my horses breeder and farm and they are THRILLED with his success post-racing. As a manager of a different farm, I can guarantee you that I enjoy nothing more than finding out that one of mine has been rehomed to a second career, and will bend over backwards to give them any information/pictures that I can get my hands on! 4. Your horses breeder/owner simply “didn’t care” to follow their horses career or know what happened to it. 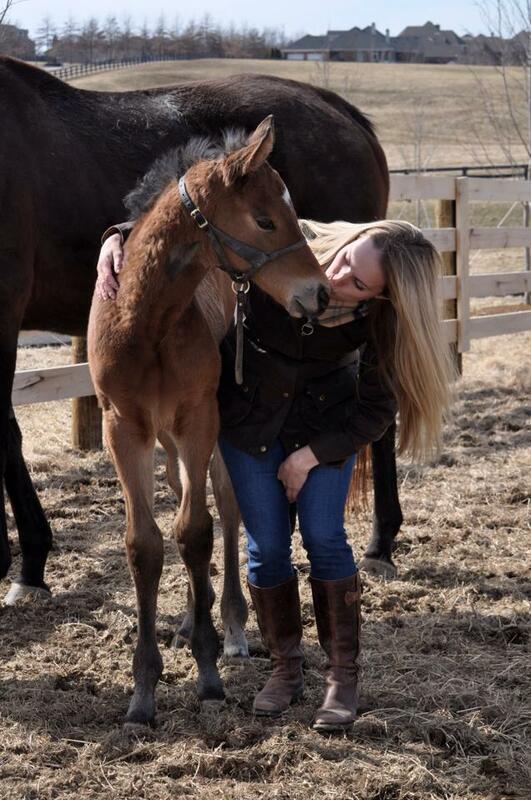 I was recently told that a foal that I had bonded slightly too strongly with would be going through the November sale, and had to choke back the tears as I realized that not only do I only have 4 more months of having immediate access to him – but that I would also potentially be losing any interaction at all, as the system is not set up to have information made public when horses are bought/sold/moved. As the farm manager (or in this case, the farm managers girlfriend) I have zero say in what is chosen to be done with this foal, and I know that the owner has to do what is right for him and his herd of horses. I am currently plotting how I am going to maintain track of him during this transitional time until he is named and on the track where I can follow him through works and races, but it is not a perfect world and I understand that there is a chance that I may lose him. Does that mean that I won’t be devastated if that happens? Absolutely not. Does that mean that whoever gets ahold of him 4 years from now should assume that he was never loved? Well I hope that it is my name next to OWNER in that case, but otherwise I think that these pictures are evidence enough for that answer. I understand that in just with every other industry, there are bad people in the thoroughbred industry, and these people tend to flood over any information about the good. The good people who have endured through the highest of highs and the lowest of lows, just to be a part in the crazy, spectacular, and at times heart breaking world that is horses. I have seen owners cry after selling a mare, I have seen grooms spend the night in a stall to watch a colicky weanling, and I have seen farm managers walk away sobbing after losing one of “their own”. We are attempting to clean up the industry bit by bit – just a few days ago a group of the top trainers signed a pledge to stand behind the elimination of race day medication by 2016 – and in the past few years more farms and tracks have pledged their assistance to thoroughbred aftercare. We still have a ways to go – but the path is slowly being chiseled away, something that needs to be done from both sides. We as breeders need to support and build aftercare, but the sport horse world and fellow second careers need to respect and not be disillusioned about the breeding and racing industries as well. One day I hope that we can meet in the middle, but until then I will continue to assist others in their journey with their ex-racehorses and hopefully remain a bridge between these two worlds. Great post! I have a wonderful relationship with the past connections of my OTTB. They love getting updates from me. I may have to ask if I can make a saddle pad like yours with the silks and JC name embroidered. That is very cool! Love it. Thank you for your blog. 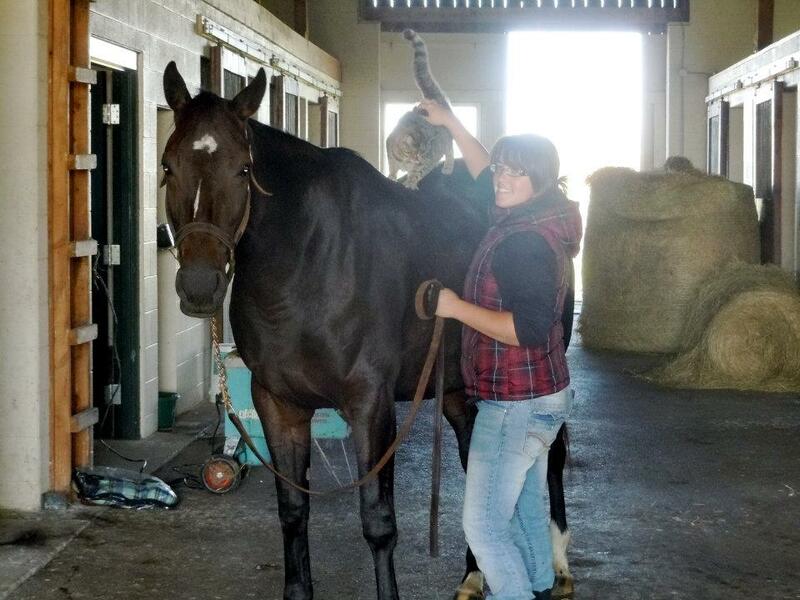 I purchased my OTTB straight from the Finger Lakes Race track. He was well cared for and loved. After I brought him home I posted in an FB group about how well he was doing and his old groom reached out to me. We are now facebook friends so she can keep track of him in all his future endevours! Kudos to you. Keep up the good work informing people that not all racetrack people are horrible individuals who run thier horses to the ground. #3… when I got my OTTB’s jc papers (I owned him in a syndication as a 2 year old, but lost him in a claim at 3. bought him back when he DNF at 6), there was a letter attached from his breeder stating they would take him back, no questions, no fees, and would pay for any shipping costs. Thank you for writing this blog. I currently own two OTTB’s that we saved from the slaughter pipeline. I am not from the racing world so I had formed a dislike for the track due to the horrors my two have faced in their short lives. After reading your blog I have seen a different side and its given me hope for the rest of the horses that come off the track. I have, however, had an extremely hard time locating information on their original breeders/owners. I have their names just cant find them. Its very frustrating to know that there are people out there like yourself that do truly care but will never know what happened because they cant be found. My name is Stacy Nicks and I co-owned Dynamaker with my husband and Dr Chandler. My husband trained his mama, Dynamist and I actually named Dynamaker. I thought he was the cutest thing and I really liked him. I was sad to see him have to be retired. Thank you so much for giving him such a wonderful home! That is amazing Stacy! I bought him from Chelsie Novak who works at Mill Ridge and just adore him! 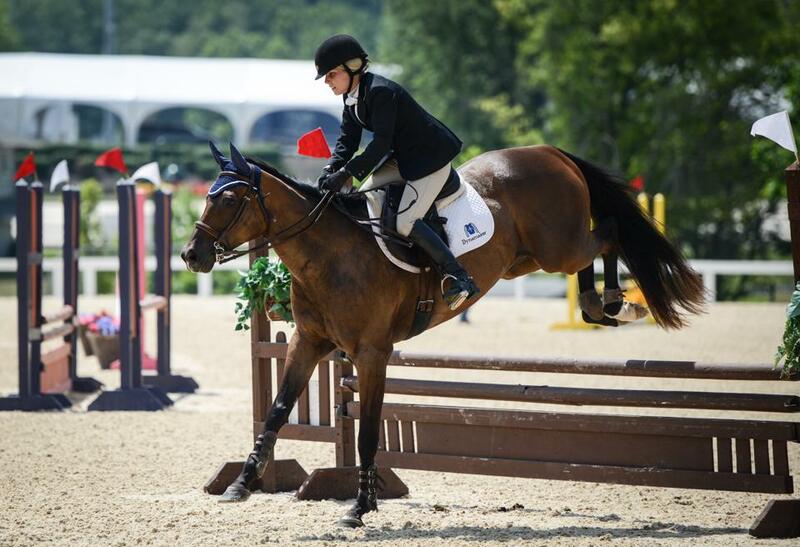 We are eventing at training level, but he is a phenomenal enough jumper to switch to the hunter rings and score quite high! I just adore him (and that’s saying a lot as I’m pretty picky!) thank you so much for being a part of such a fabulous horse! I think it is really bad that every post I read is about how someone “rescued” their TB from the track. I’m not sure if most people have ever been on the backside, but I hardly think most these horses could be considered needing rescued! Sara Lee, competitive race horses don’t need to be rescued as long as they can race and those that are valuable breeding prospects are safe. The spent, injured, sick horses, those that just can’t run can end up very quickly at feedlots and kill auctions where some of them are rescued. Some people including rescuers do rescue horses from the track that otherwise would go to the killer or kill auction. Those horses leave the track without fanfare and often without papers. Some are borrowed or rented from feedlots and used for tripping at mexican rodeos before going to slaughter if they survive the barbaric practice. Other horses are lucky to be adopted or bought from their owners, others are rescued from feedlots or bought at kill auctions by private parties as pleasure or potential sport horses. I currently own an ottb. As a mature rider who has always had an affinity towards quarter horses I am amazed at my love for this “skinny” boned boy. lol. he makes me feel safe even when he’s being his quirkiest. I would absolutely love to contact his breeder of origin. How is this done? Kerry, you and I have the same history, I was always a QH person until I had a chance to rehome two OTTBs who’s owners were looking for good homes for them. To fins out more about your TB you need to do some detective work, but I promise it’s fun. Do you know his Jockey Club name? With that info you can look up his pedigree on http://www.equibase.com/ . Equibase will also have a race history. That can be worked through to find previous owners and you can often track your horse back to the breeder. Race History can help you find tracks your horse ran at and with that info you can often find out who the official track photographer was and get copies of race pictures. JC name can be put into the site http://www.pedigreequery.com/ and they have a treasure trove of free reports you can run. Find out about siblings, ancestors, offspring etc. Have you checked his lip tattoo? You can look him up with that too. Partial or blurry tattoos plus a detailed description of color, markings, hair whorls can be used by The Jockey Club to help identify your horse. They are very helpful. If you are on Facebook there is a group called OTTB Connect that has a lot of good info about tracking down your TBs connections. Hope I haven’t’ gone on too long. I just know that it’s been a blast leaning about my boys pasts. I have 2 OTTB currently and they have homes for life with me. I spoil them rotten with love, quality feed, great pastures, and care and will continue to look for my next OTTB. I love this article because my boys came from the same racing farm and it’s evident how much they were loved and not just a commodity to them. Thank you too all the race barns out there for the chance for people like me to own amazing horses with awesome personalities that have seen it all. I am the happy owner of an OTTB (trained, did not race, possibly due to injury) who left the track well cared for, and presumably well-loved. Would love to contact his breeder (he’s 15 now, I’ve had him for over 10yrs), but not sure how to find him or her? I do have his pedigree and records (but not papers), but the only sale that is listed has him sold by an agent. If you go on equibase and search for his JC name, you should be able to find out who his breeders were! Hope this helps! Hi! I wanted to say thank you for the wonderful post. If it were not for the breeders I would not be able to afford a horse of the caliber of an OTTB. Personally, I am in love with ottb’s. I rehab horses for a hobby and my current mare, who is amazing in so many ways, a nearly 17 yo ottb with a long career as a jumper and school master to now working on learning musical free style dressage. I think Tess’ breeders would have been very proud of her career. She has taught so many riders. Her patience, intelligence, determination and will to live is amazing. About 3 years ago Tess fell into some bad luck. Motto the owners negligence. The barn where she was boarded was just not the right barn. She had ingested bad hay and this causes a sever colic were she needed surgery. Turns out the round bale was infested with milk thistle. They didn’t think she would survive the night but opted for surgery. She began to recover and a year later, while turned out with a bunch of mares, she was getting beat up and had made the decision to jump the fence . Instead of clearing the fence she hit the t-post and she had impaled herself through her underside and out the right hind quarter. Again, things had looked dark for our friend. It got to the point my friend was afraid even after recovering her that she may not ride again. Eventually two years after that Tess went to a rehab facility where I was volunteering. I worked with her and her condition was very bleak. However, the owner of the this barn was sadly ignorant and refused help from more experience equestrians. When working with the owner, whom we became friends, o told her what was going on. Together we worked to get Tess out of that environment. Now, a year later and 200 lbs heavier our girl has made a full recovery and her training of rebuilding muscles and working through transitions has brought her back to life. I own her now and she is my best friend. I have met a few of her owners who had her previously and she has do nothing but brought joy to everyone’s heart. Because of Tess, I will forever support ottb’s. They are amazing horses and they prove that anything can happen. Their personality of silly and whimsical also their dedication to their rider and care taker is something I have never seen in another equine. They truly are amazing horses and going to their second career has enabled many equestrians an amazing bred animal that can be afforded. I can’t drop $35k on a potential sport horse nor would I want to. There is no guarantee that you would become professional with that horse anyway. They could break like every other horse and then you will be back to square one and penniless. These horses won my heart and I will forever be dedicated to work on their rehabilitation. I am in the same boat! I follow all of mine, but can’t afford to claim them for 7500 or $10k. It’s an absolute crapshoot, but not we as the breeders fault!!! While i understand its a $$ business and there are good and bad people in it who do or dont give a rats patoot. What i dont understand is why live coverage only breedings and the dark side of nurse mares for foals of tb mares while their own ate discarded like trash. Sick. Modern technogy certainly can determine parentage. TB foals are very rarely raised by nursemares, in fact almost solely when the mare dies during the birthing process. The idea that mares are permanently removed from their foals to be bred is 100% false, and natural breeding and live cover is one of the few things that are actually limiting the crop size every year! If we did AI, one ejavulate could inseminate 20+ mares, and the book size would grow IMMENSELY. Live coverage is done for many more reasons than to determine parentage. I was someone who bred thoroughbreds for race/sale. I will agree that most all track horses are well cared for by the majority of owners, trainers, etc. People not familiar with the lean, muscled condition of a racehorse think the horse is thin and starving when they get them off the track. I have maintained contact with owners of my former horses when they went on to other careers and am so happy when I hear how well they are doing and how much they are cared for. Those that suffered injuries while training or raising were treated when possible and euthanized when not. Others returned to my farm as pasture horses. I would never knowingly allow a horse that I owned ever end up at slaughter. I certainly never made millions (still paying off my line of credit), but no matter how much it cost or how little I made, i would spend the few hundred dollars to have the horse humanely euthanized and buried first. I also feel that progress is being made by working with the owners, trainers, breeders, race tracks and no good will come from bashing everyone. As for the breeding of tbreds, the rule of live cover certainly makes sense. As with any animal, humans are the reason for their suffering. I have my unraced TB, direct from the breeder, and when I was younger I was lucky enough to working student for 2 TB breeders & owners, here in MD, one stood a stud, other was private breeder. This was before there was A) as many OTTB foundations & sources available – basically race owners had to know so some one in pony club or the hunter world to find a home to recareer them & B) imported warmbloods weren’t so overwhelmingly prevalent & popular -to the point that there’s almost a bias against OTTBs – in the hunter rings. But my connections, they recareered their own homebreds & all their race horse -owned or trained by them- when they were done racing or not good enough. I was lucky enough to get to ride and show them. We actually sold them as pretty much “made” show horses. The owners/breeders really put the time and resources in to making them ready for their next life as well as marketable. 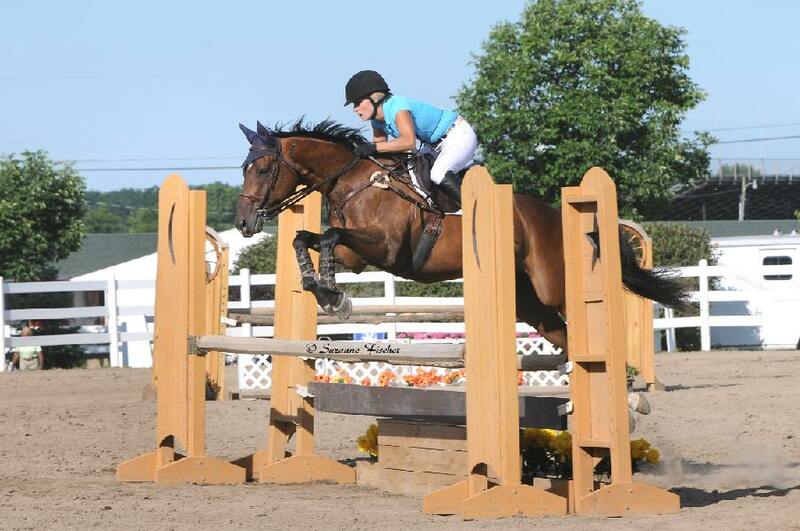 Most of our OTTBs were ready for & went to juniors as show hunters & pony club mounts. They had perfect ground manners, show miles & trail rode. I personally would have been highly offended if any one ever had said they “rescued” these horses. Especially as almost all of them had at least a year of show miles in the hunter ring before they were sold. 🙂 Thet were OTTBs, but they were by then show horses! Lol. My connections truly cared very much about these horses & we loved getting show reports from them even years later.